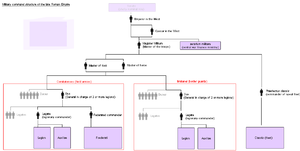 Magister militum (Latin for "Master of the Soldiers", plural magistri militum) was a top-level military command used in the later Roman Empire, dating from the reign of Constantine the Great. [dubious – discuss] Used alone, the term referred to the senior military officer (equivalent to a war theatre commander, the emperor remaining the supreme commander) of the Empire. In Greek sources, the term is translated either as strategos or as stratelates. The term Last of the Romans has historically been used to describe a man thought to embody the values of Ancient Roman civilization—values which, by implication, became extinct on his death. It has been used to describe a number of individuals. 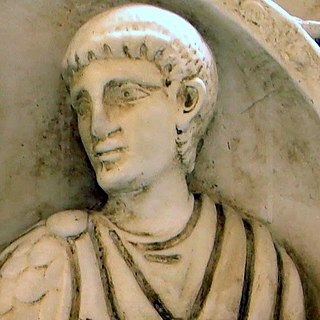 The first recorded instance was Julius Caesar's description of Marcus Junius Brutus the Younger as the one with whom the old Roman spirit would become extinct. Flavius Arinthaeus was a Roman officer who started his career as a middle-ranking officer and rose to senior political and military positions. 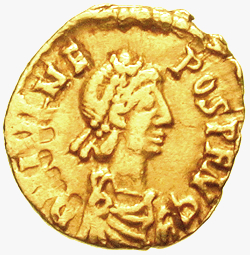 He served the emperors Constantius II, Julian the Apostate, Jovian and Valens. He was appointed consul in 372 alongside Domitius Modestus.